Two natural phenomena go head-to-head in our final match-up of the season. It's ooey, gooey molten lava versus tricky, shifty, fast-acting quicksand. Both are dangerous, both are fascinating, only one can win. It’s Lava vs. Quicksand! 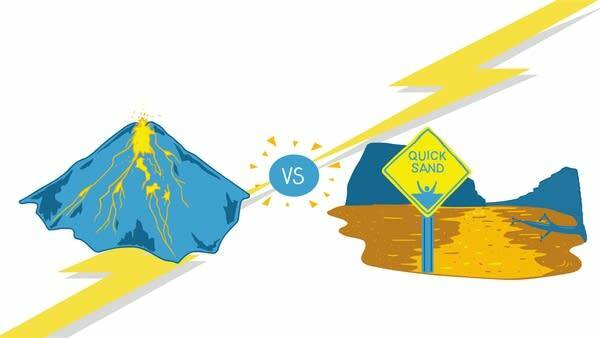 Which side are you: Team Lava or Team Quicksand? Vote here!